Thank you for taking the time to visit our website. We are an independent carpet cleaning business based in Dorset, we strive to provide a quality domestic & commercial carpet, upholstery cleaning service to customers throughout Dorset and Hampshire. We work to offer you a superior 24/7 service that is entirely tailored to match your requirements. This can be identified in our approach to our commercial cleaning, we realise that it is incredibly important that the flow of your home and business is not affected by our cleaning. We are extremely flexible and operate an out of hours service if required, which means work can be undertaking in evenings and weekends, so as not to disturb your business, with lots of experience of commercial cleaning for both small businesses and large corporations. Our carpet cleaning products and machines deep clean your carpets, removing both dirt and pollutants from the fibres with self-neutralizing cleaning chemicals that are also non-toxic and bio-degradable, leaving your carpets hygienically clean and fresh again. 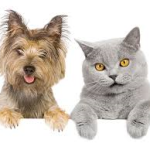 We often get asked about deodorising carpets for customers who have pets, when Pets lie on carpets they can transfer oils from their skin and coats onto the pile of the carpets. After a while this can result in bad odours. We use a product called “odour fresh” which is produced by Prochem, this is simply added to our machine given the carpets a pleasant floral fragrance afterwords. 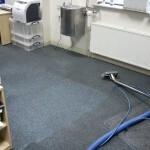 We can specialises in is stain removal , and carpet protection(Scothgard) which is liquid products sprayed on to the freshly cleaned carpets, the Scothcguard provides a protective barrier to resist soil and stains, which will make it easier to clean with conventional cleaning techniques. Are you a tenant reaching the end of your tenancy ?, often as part of your contract you may be required to have the carpets deep cleaned prior to moving out… then we are here to help. 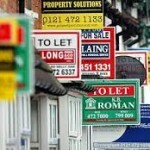 We do a lot of work on behalf of estate agents and letting agents so please contact us. We have full Public Liability Insurance including treatment risk. We are a small, friendly Company looking to raise the bar in both levels of customer service and standards of finish that we offer. We also offer a comprehensive upholstery cleaning and leather cleaning service for your home and business furniture. Please call us for any details. 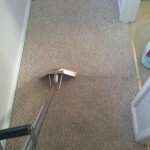 The basic principle is a pre-treatment is applied first to the carpet on the heavy traffic areas which breaks down the dirt in the carpet, this is applied with a spray then worked in using a pile brush. 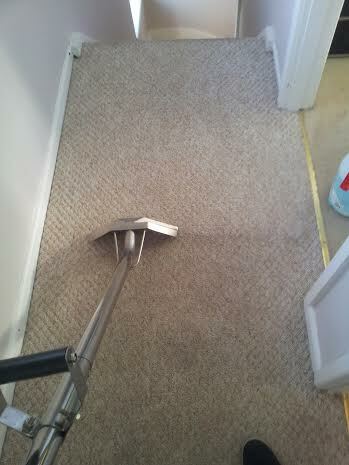 A rinsing solution is then sprayed onto the carpet fibres thought a spray jet which are attached to the carpet cleaning handle, then extracted by a high powered vacuum. 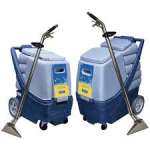 We use the powerful Prochem Steempro Powerflo professional carpet & upholstery cleaning machine. The scuff-resistant granite finish Steempro Powerflo is the carpet soil extractor for residential and commercial carpet and upholstery cleaning. 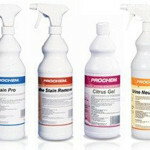 We have carried out all our training with Prochem Europe who are an industry recognised chemical and carpet cleaning machine brand, we are competent in using their whole product ranges .Prochem chemicals have a worldwide reputation for outstanding performance on all types of carpet, upholstery and hard floor surfaces. We serve all of the Dorset area including Bournemouth, Poole, Christchurch, Ringwood Parkstone, Broadstone, Branksome, Moordown, winton and Wimborne .